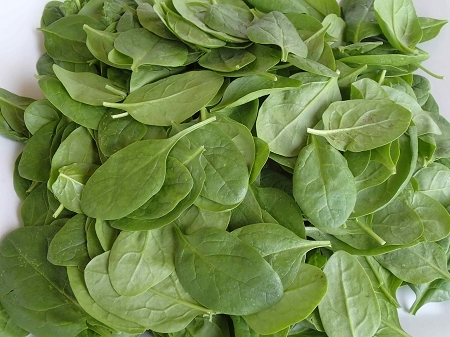 Baby American spinach makes great Spinach Salad with hard boiled eggs and sliced mushrooms. Eat fresh, raw or spinach can be cooked as well. The kind of spinach we all love. Sold in a 8 ounce container.